A little late, lost track of the months, and days almost forgot about the December sales reports. 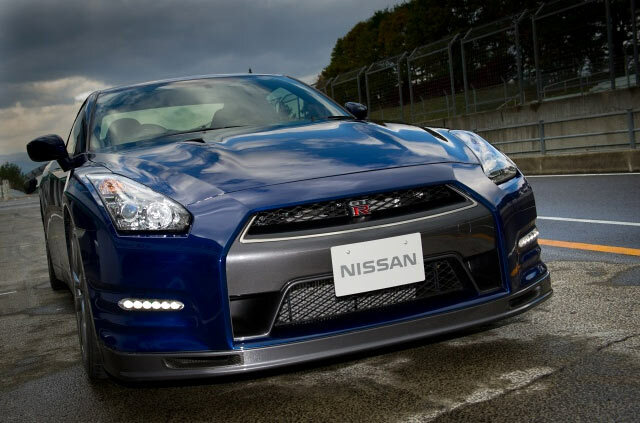 In December 2012, 49 Nissan GT-R's were sold, up 40% versus December 2011. Showing clearly, the Nissan GT-R buyer did not care about the Fiscal Cliff. Fiscal bump? Total sales for 2012 were 1188 units. The 370Z sold 406 in December 2012, total of 7338 for 2012. The LEAF sold 1489 units, bringing the year to 9819 cars. People like electric Nissan cars much more than twin turbo, all wheel drive, $100k, Nissans. FRANKLIN, Tenn. – Nissan North America, Inc. (NNA) today reported record U.S. calendar year sales of 1,141,656 units versus 1,042,534 in 2011, an increase of 9.5 percent and the first time that the Nissan brand sold more than 1 million units in a calendar year. December Nissan North America sales were 99,290, down 1.6 percent from the prior year. Nissan Division sales in 2012 of 1,021,779 set a new record, and were up 8.2 percent versus last year’s 944,073. Nissan Division sales for December were 86,663, down 3.6 percent from the prior year at 89,937 units. Nissan Versa, up 13.6 percent with 113,327 deliveries. Versa sales also set a new December record with 10,618 units. Nissan LEAF, up 1.5 percent to 9,819 with December sales of 1,489 units. The Nissan NV commercial van, up 58 percent to 10,179 sales, with 1,250 units sold in December, its best month ever. Infiniti QX sales of 2,232 were an increase of 28.6 percent in December, marking its best month ever. For 2012, sales increased 14 percent to 15,310 units, its best year since the full-size luxury SUV was introduced into the Infiniti line in 2004. The all-new Infiniti JX saw sales of 2,708 in December, its best month since it went on sale in March. For 2012, the 7-passenger luxury crossover had sales of 21,674, making it the second best selling vehicle in the Infiniti line. For 2012, the Infiniti G Sedan had a sales increase of 7 percent to 46,828 units, and the Infiniti FX luxury performance crossover was up 4.9 percent to 10,424. Overall, this was Infiniti’s best December since 2006, and marked its eighth straight month of double-digit sales increases in 2012. NOTE: To ensure consistency in global sales reporting, Nissan North America calculates monthly variances on a straight-percentage basis, unadjusted for the number of selling days. December had 26 selling days in 2012 versus 27 in 2011. For the calendar year, both 2012 and 2011 had 307 selling days.